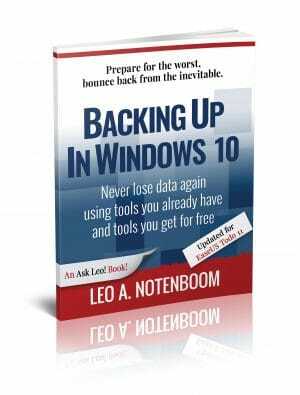 Backing Up in Windows 10 - Ask Leo! It’s something I talk about often: nothing is more important than backing up. Anything can happen, and everything can be lost. The problem? Backing up is confusing and it’s much harder than it should be. That is, of course, unless you have help. Backing Up in Windows 10 is here to help you get backed up. Backing Up in Windows 10 shows you how to use the tools you already have — the tools built in to Windows 10 itself — to protect yourself with a top-to-bottom backup. Making and restoring Image Backups to save absolutely everything on your computer. Restoring individual files from an Image Backup, so you don’t have to restore everything just to get a few things. Setting up File History to make nearly continuous backups as you work, and well as restore files it’s saved for you. How to use OneDrive to act as your automatic off-site backup. How to use all three — Image Backups, File History, and OneDrive — to recover from the nastiest of the nasty: ransomware! But that’s not all. Inexplicably, Microsoft may be removing some backup tools from future versions of Windows 10. Not a problem! I’ve got you covered. Heck, using a third-party program like EaseUS Todo is exactly what Microsoft recommends. A downloadable PDF version you can read on any device capable of displaying PDF files. Prioritized support to get your questions answered. Once you purchase and register the book, you’re entitled to digital updates for life. As the book is updated, corrections made, or even new editions published, you’ll have immediate access to the digital downloads. As my way of saying “Thank You”, you’ll also get one year of enjoying the Ask Leo! 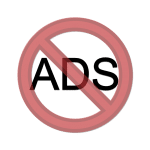 web site ad-free. That’s a $24 value right there! I believe in what I do, and I honestly believe that Backing Up in Windows 10 can help you. If, after purchasing, you’re not completely satisfied, just ask me for your money back.